History is an integral part of this town, no matter how much we resist, we need to talk some more of it. More so, we have complied it by hearing it from the people who praise this city and preserve its culture. So here we go, admiring the work of men. Incidentally, Sri Rangam is the only place which all, the 12 Vaishanava saints, (a.k.a Arzhvars in Tamil) have praised in their hymns. These hymns are popularly known as the 4000 Divya Prabandha. In one of the works of Andal, a Saint, she records her dream of marrying Sri Ranganath of Sri Rangam in a form of poem called Vaaranam Ayiram. Later she claims in her work that this dream became reality and she married Sri Ranganatha and became one with the lord. Interestingly, the wedding rituals of Sri Vaishnavas are based on this format and practiced even to this day. The story of the temple as per some of the above mentioned records goes like this: The very idol of Sri Ranganatha at Srirangam was handed down to Rama from his ancestors, who worshiped this form. This was gifted by Rama to Vibhishana, brother of Ravana. Then Sri Ranganatha chose to remain at Sri Rangam and face southwards, where Vibhishana could pay his daily salutations from far south Sri Lanka. businesses, learning, teaching, debating, composing opportunities etc. ; everything being Sri Ranganatha centric. 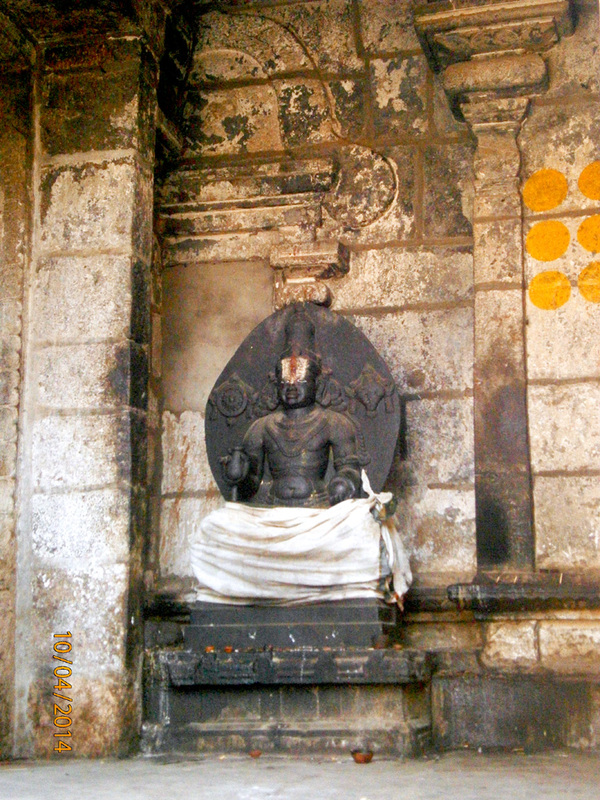 Sri Ramanujacharya lived at Sri Rangam initially for brief period before going to Melkote in Karnataka. Then after 12 years he returned back to SriRangam and lived for 60 years until he attained samadhi. One can find the Idol of Sri Ramanujacharya inside this temple, which is believed to be the self manifestation from his samadhi state. 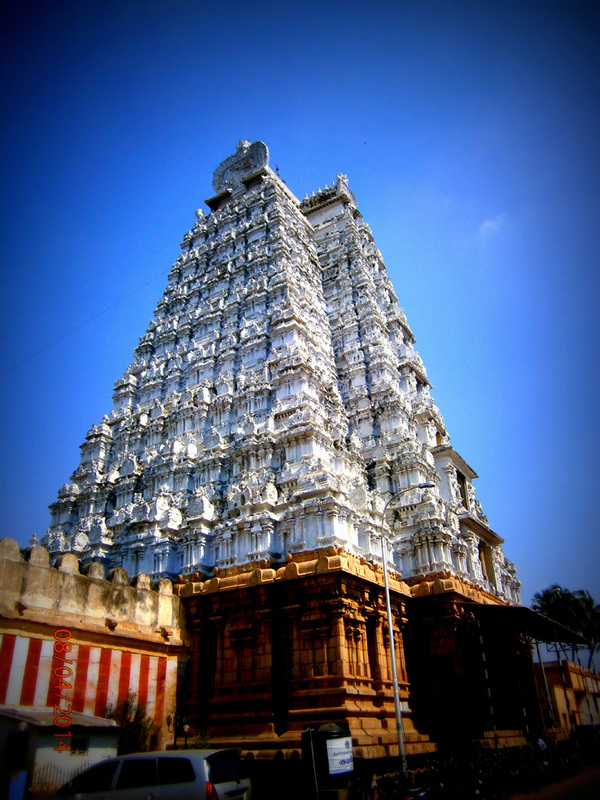 Srirangam is refered to as ‘Kovil’ meaning ‘The Temple’ within the community for its uniqueness. As a testimonial to this one could see the businesses, residential quarters do exist inside the temple even to this day. One could see living tradition being transferred generations after generations since the time of Sri Ramanujacharya to this day. Some of the literary accounts claim that during the life time of Sri Ramanujacharya, when he use to go on the walk, 800 spiritual aspirants would follow him wherever he went and gave discourses on philosophy. Another interesting place inside the temple is the mandapam where Kamba Ramayanam, a Tamil Ramayanam composed based on Valmiki Ramayana was presented. As a sign of approval for the scholarly work of the poet Kamban, Lord Ugra Narasimha appears as though laughing and enjoying the literature instead of his usual posture of being angry while killing HiranyaKashipu. At this juncture we would like to thank Mr. Arun Koushik, who shared his understanding of history of the place. 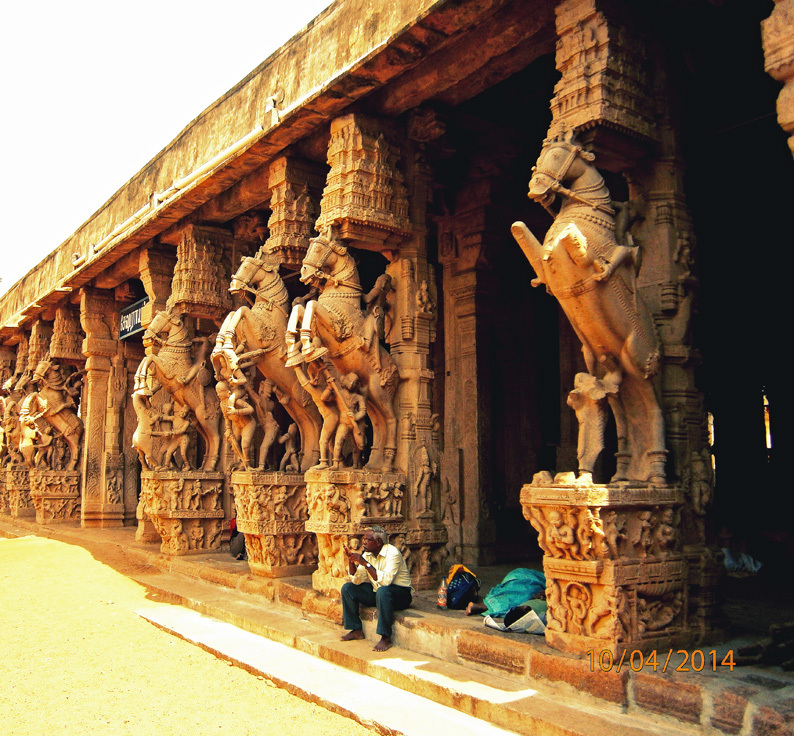 When we meet in the next post we shall share about life at Srirangam & more……. River Kaveri, one of the seven important rivers in India, takes origin at Talakaveri in Karnataka and flows through the midland of Tamil Nadu to reach Bay of Bengal at Poombukar. Enroute, it flows around three important islands which can never escape from the attention of someone who is on a quest, may be religious, spiritual, architectural, historical or simply a traveller. All these three islands formed by the river Kaveri have an interesting theme in common – they host a temple for Sri Ranganatha, one of the forms of Vishnu, where Vishnu rests on the bed of the “Anantha Shesha” the Serpent. 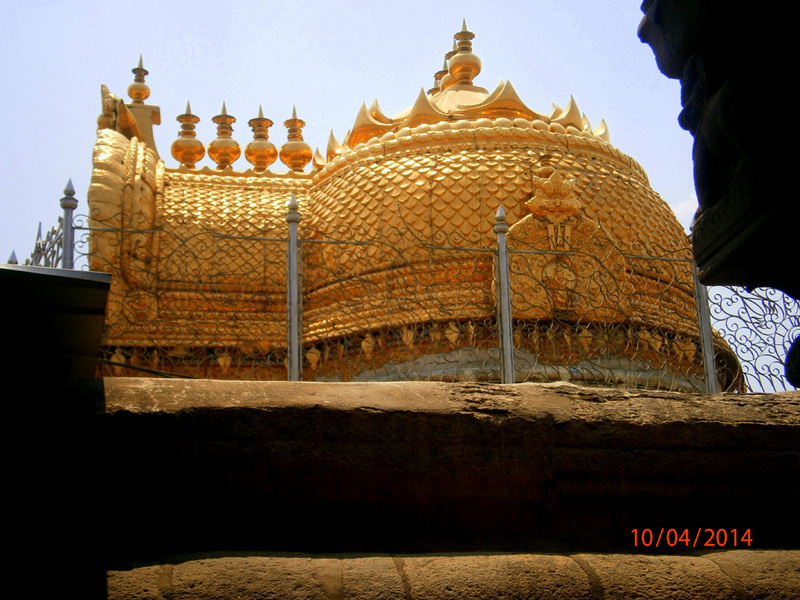 – Third one at Srirangam (a.k.a Anthya-Ranga). Among the three, Srirangam holds a special place. It is an important center for the Sri Vaishnava School of Vishishadwaitha Vedantha. Historical records of India were documented in an integrated form such as poetic references, songs of folklore, literary references, stone inscriptions etc. 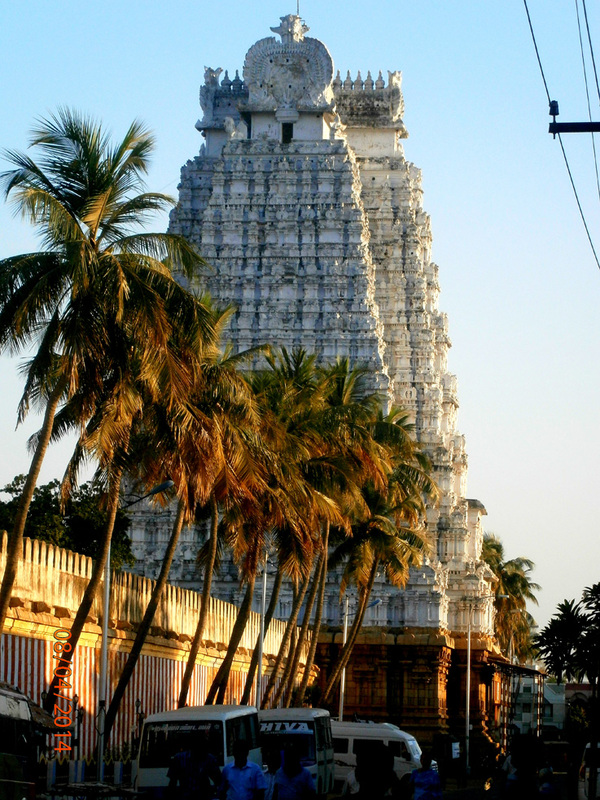 In relatively recent times, this temple has been renovated time and again by every dynasty that ruled South India. 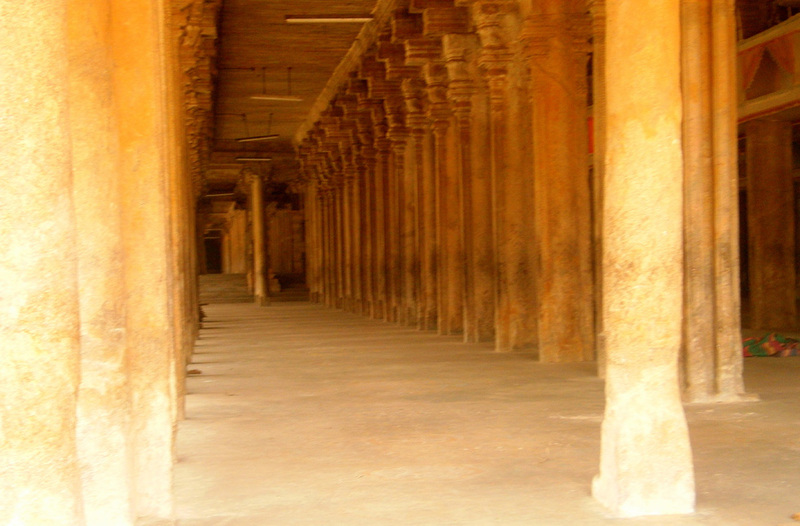 Tamil literature has a large number of accounts that have praised the glories of this Temple. 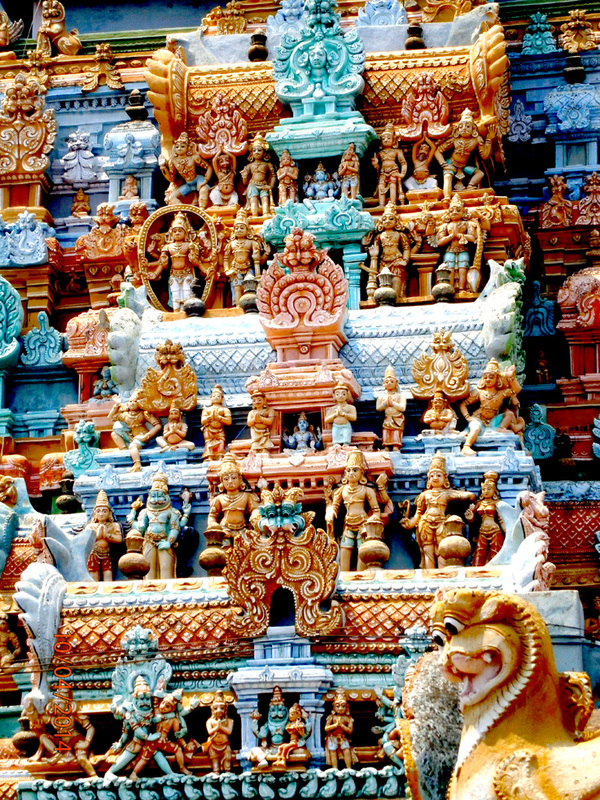 One of the distinctions being that the temple architecture is a replica of Vaikunta, the eternal abode of Vishnu. Two men traveling in a tram. It is a hot & humid Kolkata summer. They got into a debate. Getting into a debate is not uncommon in this part of India, it is rather an opportunity to flex intellectual muscle, but with ongoing election fever, any debate other than politics, shall raise eyebrows. Saha knew today Das had come prepared. He acknowledged it and added, “Yes, that is what makes Didi in West bengal, Amma in Tamil Nadu and Bhenji in Uttar Pradesh, key to this elections”. Das remarked, “Sauti (True), if stats have it’s way they have key to 28% of seats and are the kingmakers.” They both laughed together and got ready to get off the tram.